Sometimes things just go right and the only bad part is when you forget to take pictures. 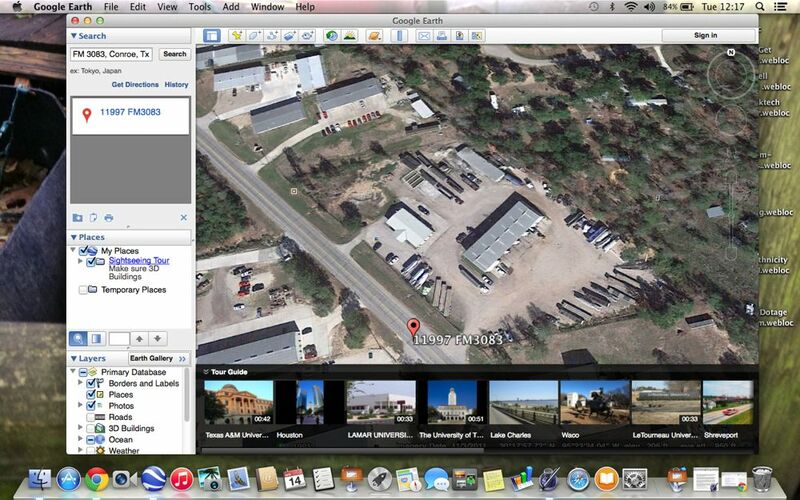 There is a countertop business just east of Conroe's loop and I drove by and saw some shipping crates sitting outside. They tend to contain a bunch of good lumber and generally the business just wants it to go away. Never hurts to ask. I went home and hooked up the trailer. After all, if you're going to go begging you should at least have a positive attitude. How positive is it when you can't carry the loot home. When I showed up a young guy came out and asked me how he could help. Now if you were to dream up a more unlikely pair to hit it off I don't know how you would do it. I am the stereotypical geezer and this was a young man (30?) with a pony tail. Central casting would put us on the other side of most situations but frankly, I doubt it because I liked his demeanor. I told him I saw his pile of shipping crates and wondered if he wanted some hauled away. 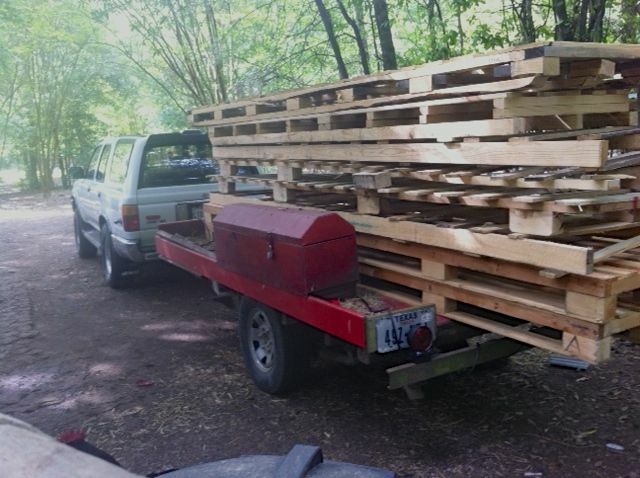 He responded that he would like to see it all hauled away. There was no doubt in my mind that I had enough trailer to haul it but not enough back for the loading. I told him that I probably wouldn’t be able to load that much. Then he gave me an offer I couldn’t refuse. He went to another shed and showed up in a couple minutes with a forklift. He put extensions on it and loaded this whole load from the back of the trailer. I was quite impressed. You will see why in a moment. I guess I wasn't impressed enough to take a picture and I've been unhappy about that ever since. This really wasn't my first rodeo but the trailer is over 10 foot long. This view shows how long the crates really were. To see this load sticking way out in front of a forklift was impressive. Now I’m sure that you have all heard of the sailor who asked for a cigarette, then asked for a light and finally asked you to kick him in the chest to start inhaling. Hadn't heard that, eh? Truthfully, me either. It's just an example of someone with nothing but the want. Well I was that sailor today. The guy told me that I need to put my strap over the load and I had to admit that I didn’t have one. I hadn’t expected to get a big load. They guy strapped it down for me. I took the strap back right away in the other car when I got the load home. 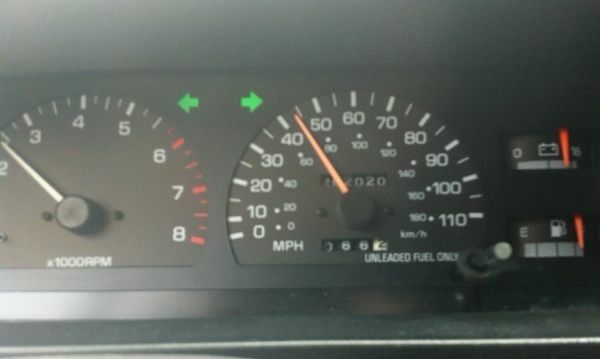 I drove home at about 45 miles per hour with flashers flashing. Not a long trip, nor was the road heavily traveled when I was making it. I do have a funny little quirk that you may or may not have. When the odometer gives me a good poker hand or just a unique set of numbers, I tend to remember it. This day it turned 202020 on the way home. According to Toyota it can soon be considered "broken in". I was totally responsible for the self imposed speed limit. The truck wanted to go faster but, even strapped down the load seemed far too top heavy to do that. Unloading it was another thing completely and a whole lot easier. There was a hole in the driveway that I irrationally blame on the donkeys. When I drove across, the trailer leaned hard and I lost the top half of the load. When I got it where I wanted it this chain was a big help. It doesn't take much of a tree or much of a chain for the next step. 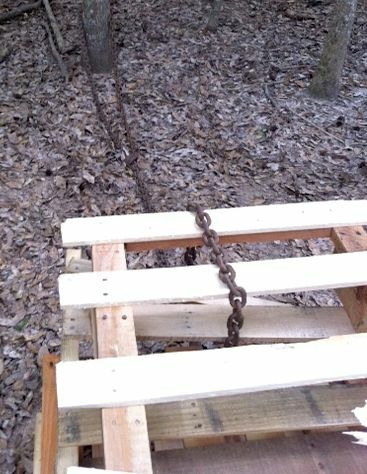 Tie the load to a tree with a chain or a rope. Then just drive out from under it.